1. Sickles (12-2) – The Gryphons hang on to the top spot this week, taking down a pair of Week Five, Top Five opponents. Chase Centala (5-for-7, 3 RBI, two doubles) and Dylan Eskew (4-for-7, 3 RBI, home run, double) led the way last week with Centala pitching six shutout innings in a 7-0 win over Wharton, and Eskew working a complete game against Steinbrenner with 11 strikeouts to wrap up the top seed in next month’s Class 8A-District 5 tourney (read about this game by clicking here). Sickles travels to Freedom (Tues.) and Plant (Thurs) this week. 2. Jesuit (13-2) – The Tigers bookended a pair of district wins (Jefferson 2-1; Middleton 4-2) around a big win at home over Georgia’s top ranked, and National Top 15 program Lilburn Parkview. Camden Minacci struck out seven in a complete-game win over Parkview, and though the Panthers scored a run, it was unearned leaving the junior’s ERA at 0.00 through 33 innings this season. Jesuit stays home this week for a trio of games, facing Blake and Spoto in district play, before hosting Tampa Catholic on Saturday. Plant City's Tyler Dowdy hit two homers against Plant. 3. Plant City (14-3) – A nice week for the Raiders with district wins over East Bay and Durant (read our coverage of this game by clicking here), before junior Tyler Dowdy’s two home runs supported ace Parker Messick’s complete-game effort on the mound as Plant City topped Plant Saturday, by a score of 3-0. The Raiders have a lone game this week against district opponent Riverview on Thursday. 4. 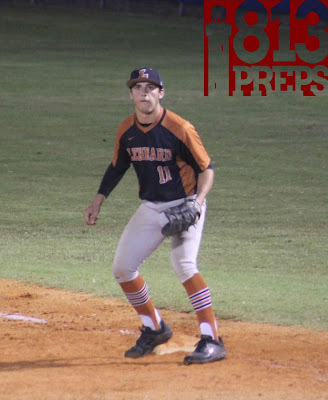 Bloomingdale (11-3) – The Bulls also picked up a three-win week against Riverview, Plant, and a Saturday, 13-inning grinder Leto (read about that one by clicking on this link). 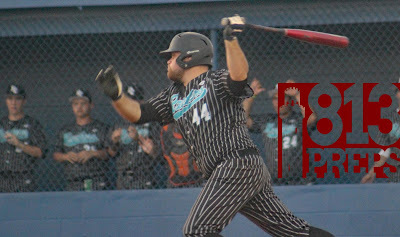 Kyle Merkle homered twice in a 15-hour span in the wins over the Panthers and Falcons, and junior Brock Wilken added his county-leading eighth dinger of the year in the win at Leto. Soooo, easy week ahead? Not in the slightest as the Bulls again face a three-game week with home games against East Bay and Steinbrenner, and a game at Durant on Friday. 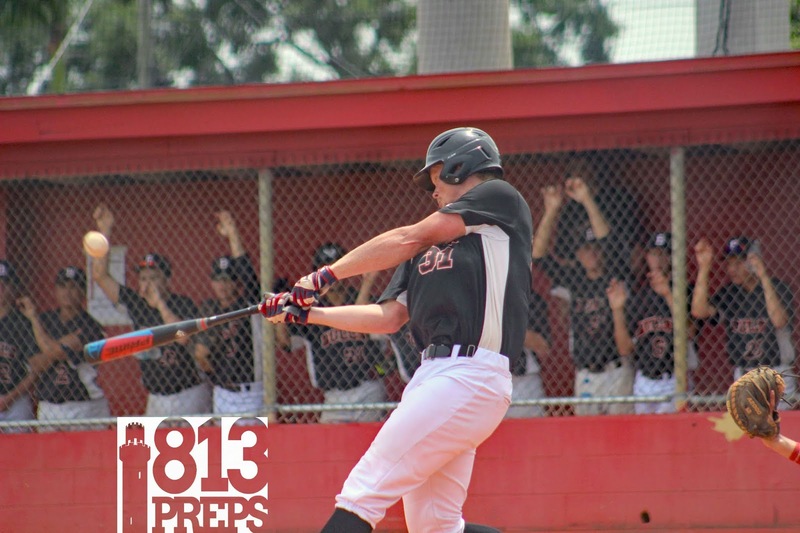 Bloomingdale senior Kyle Merkle upped his home run total to four on the season with home runs Friday night at Plant and Saturday afternoon at Leto. Merkle is hitting .306 on the year and now has 13 RBI. 5. Wharton (12-3) – The Wildcats went up against a buzz saw to start the week in a 7-0 loss to Sickles, but got back in the win column with a victory over district opponent Wiregrass Ranch on Thursday. Wharton faces off with Plant on Tuesday and hosts Freedom for district play on Thursday. 6. Steinbrenner (8-4) – The Warriors took care of business against Strawberry Crest on Tuesday, but had a tougher time against Sickles, dropping a 4-2 game. The loss halted a four-game win streak for Steinbrenner, but things are looking bright for the future as juniors Griffin and Donovan Garcia (four and six RBI for the brothers this season), Ryan Lowder (seven runs, four doubles and a homer), and sophomore Tayden Hall (nine RBI, six runs) each have averages above .300. The Warriors have a busy three-game, three-day slate, traveling to Bloomingdale on Wednesday, before hosting Tampa Bay Tech and Armwood on Thursday and Friday. 7. Lennard (11-2) – The Longhorns have a really good thing going this season, with a five-game win streak going Lennard has started to climb our list and kept moving the right direction with wins over Tampa Bay Tech and Armwood (read about it by clicking here) last week. Seniors Hayden Hensley (.441 avg, nine RBI) and Levi Montero (.484, 11 RBI) have been keying the offense for the Longhorns. Lennard still has some proving to do however, as the team is without a win over an opponent in our current Top 15. The Longhorns can make a bit of a statement on Tuesday in a game against No. 15 Riverview, but also need to focus on maintaining its perfect district record with a game against Braden River on Thursday. 8. 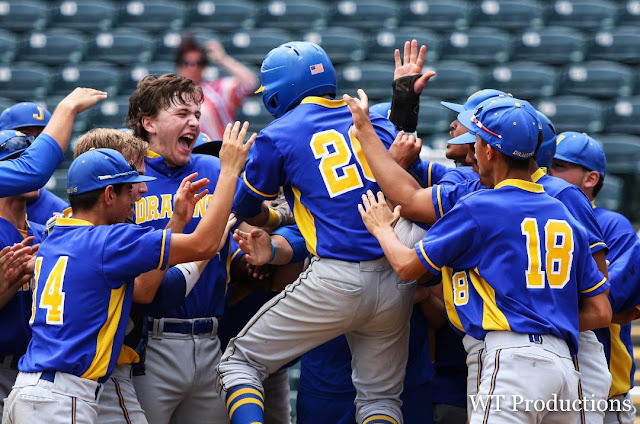 Leto (12-5) – Leto stays put in the No. 8 position as the Falcons won over district opponents King and Chamberlain this week, before dropping a 13-inning game to Bloomingdale. 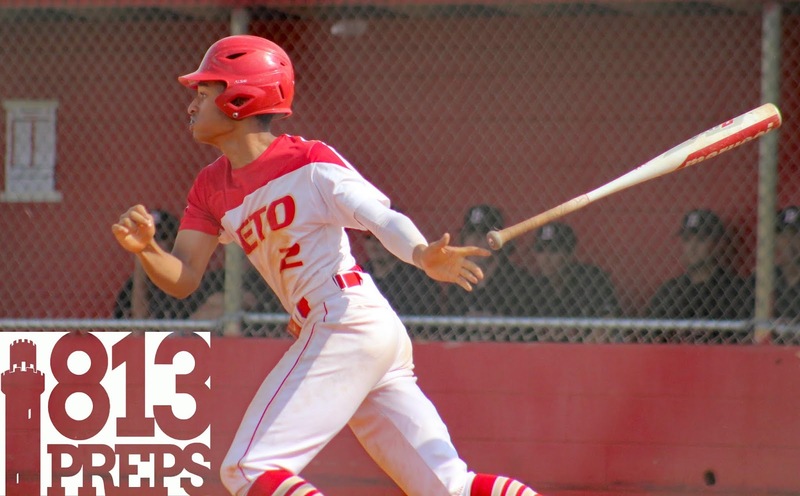 The Falcons are aggressive at the plate (115 hits) and on the base paths (29 stolen bases), led by a strong sophomore season from RJ Gutierrez (.383, 14 runs and eight RBI), and it has translated to wins again this year. Leto has two big district games at home against Hillsborough on Tuesday and out at Gaither on Thursday. 9. Plant (10-5) – The Panthers battled its way to a 10-inning win over Alonso on Tuesday, keyed by a five-RBI night from Jac Caglianone (read about it by clicking here), but fell a bit flat in losses to Bloomingdale and Plant City on Friday and Saturday. Plant travels to Wharton tomorrow, and then will get a shot at evening the regular season series hosting Sickles on Thursday. 10. Newsome (11-5) – The Wolves defeated Hillsborough and King this week, but dropped its second district game to Alonso in-between. Newsome did get a Saladino Tournament (non-district) win over the Ravens, but finds itself 1-3 in the four-team Class 9A-District 8. The Wolves travel to Strawberry Crest for a game Tuesday, before hosting Sarasota Riverview in a district game on Thursday. Newsome previously beat the Rams 11-0 in the first meeting this season.